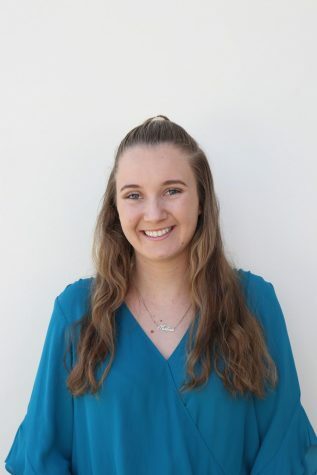 Marlena Lang is a freshman broadcast journalism major and human rights, social justice and conflict transformation minor who enjoys going out and about with her camera and capturing the memories and happenings of the community around her. Hello, my name is Marlena Lang and I come from the faraway island of Kauai, Hawaii! When I’m home I love spending time at the beach with friends, taking photos of God’s gorgeous creations and eating all the açaí bowls. I also enjoy coffee, dogs, people, Netflix, being out and about and the warmth. I am currently a freshman broadcast journalism major and human rights, social justice and conflict transformation minor here at Biola! I began taking digital media classes in the seventh grade where I developed my love for film and photography. Through many years of experience, I became aware of my gift and love for writing as well, and decided that broadcast journalism would be the best fit in order for me to combine my two loves: film production and writing. I joined the Chimes with the hope of improving my photography skills, getting a taste of journalism and getting to emerge myself in a community of students who enjoy journalism and are as passionate about it as I am.